With the festive season in full swing, there’s going to be lots of opportunities to celebrate with friends and family with a glass (or two) of wine. And what better way to celebrate than with a glass of wonderful English Sparkling wine? 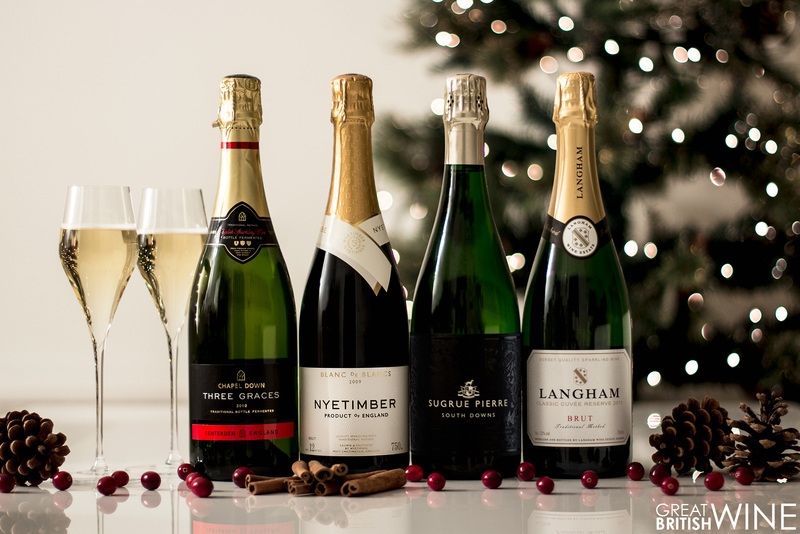 We’ve put together a selection of our favourite wines from throughout the year, including to top celebration sparkling to get everyone in the mood. There's also a selection of wine and food pairing suggestions to help make the most of the festive food that we’re all sure to be indulging in over the next few weeks. This wonderful Blanc de Blancs from Nyetimber is one of their best wines to date, and one of the top English Sparkling releases of 2016. Lots of baked apple & stone fruit flavour with fresh citrus and wonderful rich yeasty character. It’s truly something special – perfect for festive celebrations! The flagship Cuvée blend from Chapel Down, with an average of five years lees ageing. Three Graces is a hugely elegant sparkling wine with precise red apple & subtle brioche flavours and exceptional length. Not only does this wine look the part with its dark label and mysterious name, it also delivers exceptional complexity and texture. Lots of orchard fruit character, punchy lemon zest with a smooth creamy texture. All finished off with notes of biscuit and savoury spice. A beautifully golden tinted colour leads to ripe stone fruit flavours with baked bread & pastry aromas. Striking thirst quenching acidity effortlessly melts away to smooth flavours of apple and peach with crisp citrus. The ultimate wine from Dermot Sugrue's Wiston Estate; the balance between weight, texture and acidity makes this a wonderful seafood partner. Pan fried lobster (see below), scallops & other shellfish. 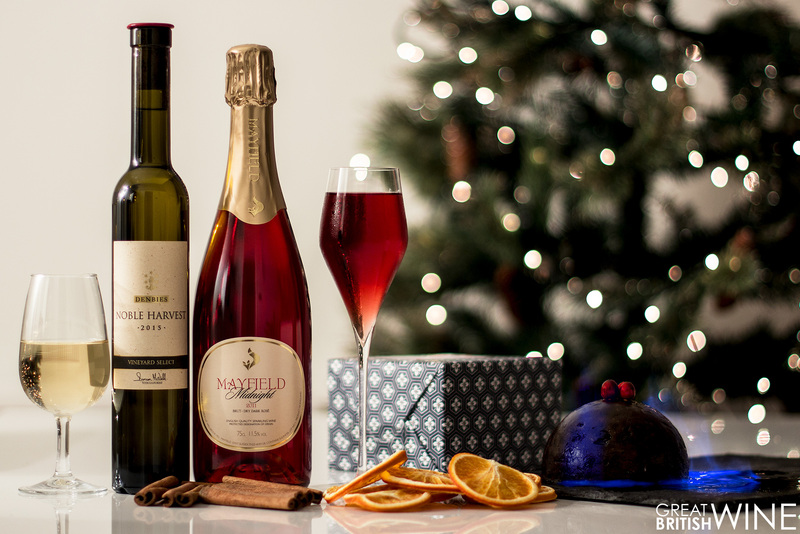 The precise red currant and cranberry notes in this wonderfully unique Pinot Meunier sparkling from Exton Park just remind us of Christmas. The subtle savoury spice qualities pair superbly with light charcuterie. 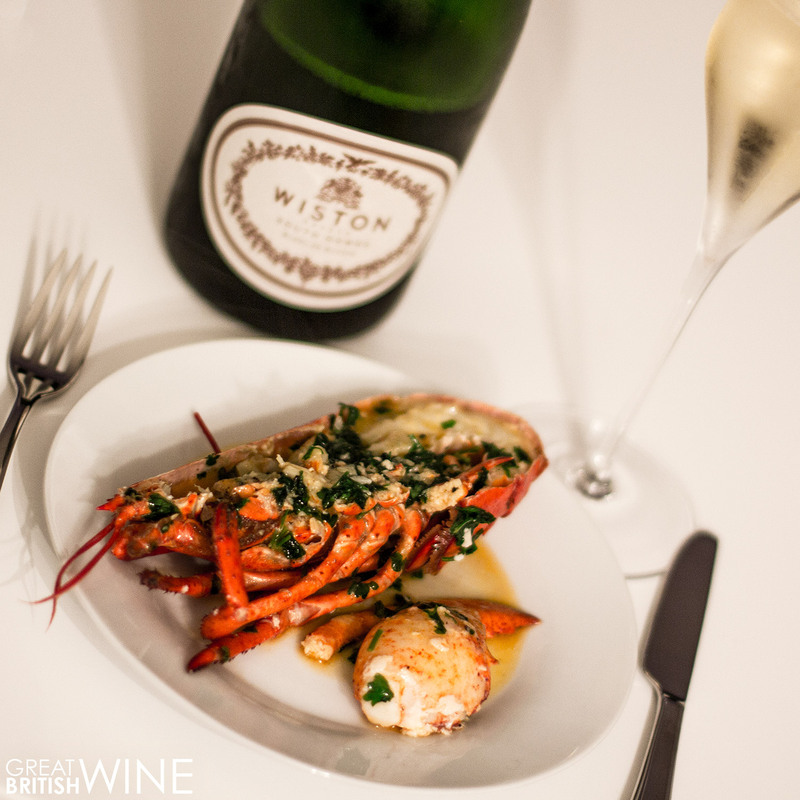 Our recipe pairing suggestion for the stunning Wiston Blanc de Blancs 2010 is a classic lobster starter. All you need is a simple dish of pan-fried lobster with garlic, parsley, a little seasoning and a splash of brandy – nothing else! 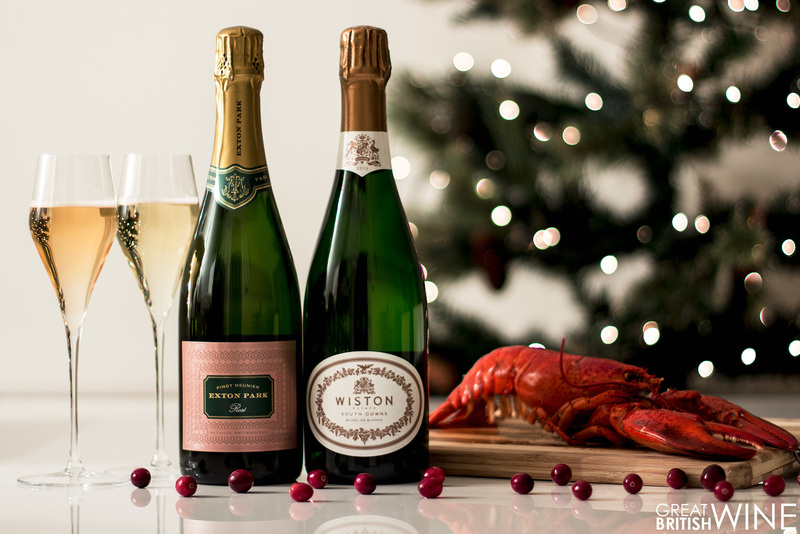 The Wiston is a weighty wine, but it has a striking rich acidity and lemon freshness that cuts through all of that warm buttery flavour of the lobster. 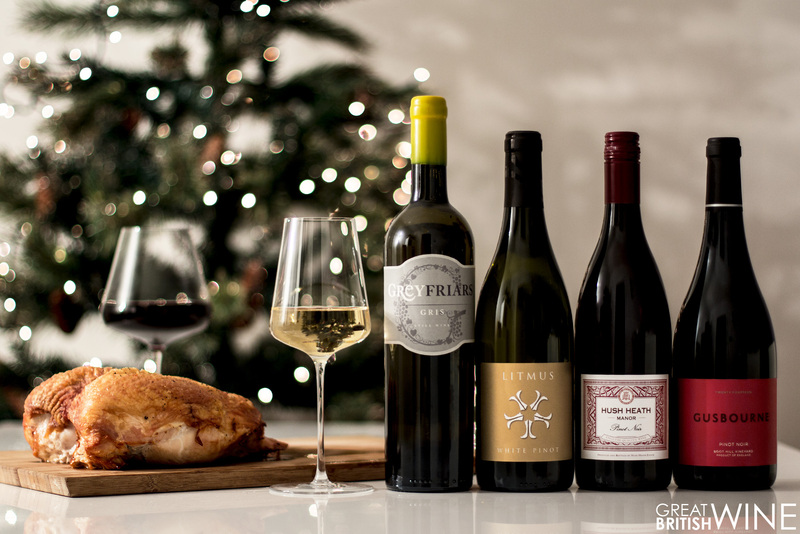 This is a match made in heaven, what better way to kick off your Christmas meal than one of Dermot Sugrue’s best wines? Why not pour another glass and relish in the biscuit and nutty complexities of this stunning wine! A wonderfully ripe Pinot Gris, with full fruit flavours of apple & peach. Wonderful texture thanks to 6 days skin contact and 5 months ageing in oak. Perfect with a classic Christmas day turkey with all the trimmings, but great with other light meats. Rich with all the weight and character of a white Burgundy, but a subtle red berry hints. Expect flavours of baked apple, honeyed stone fruit with a wonderful mouth coating texture. Try with a bacon wrapped turkey crown, or even a roasted rack of lamb. A super light but wonderfully precise Pinot Noir. Striking red berry flavours of cherry & raspberry with a delicate floral edge. Try with roasted goose, red cabbage & root vegetables; your guests are sure to leave very happy! An English red wine comparable to cool climate New World Pinot. Ripe red fruit flavours with underlying peppery spice and light tannin. This would be wonderful with roast duck or perhaps a generously seasoned leg of lamb. 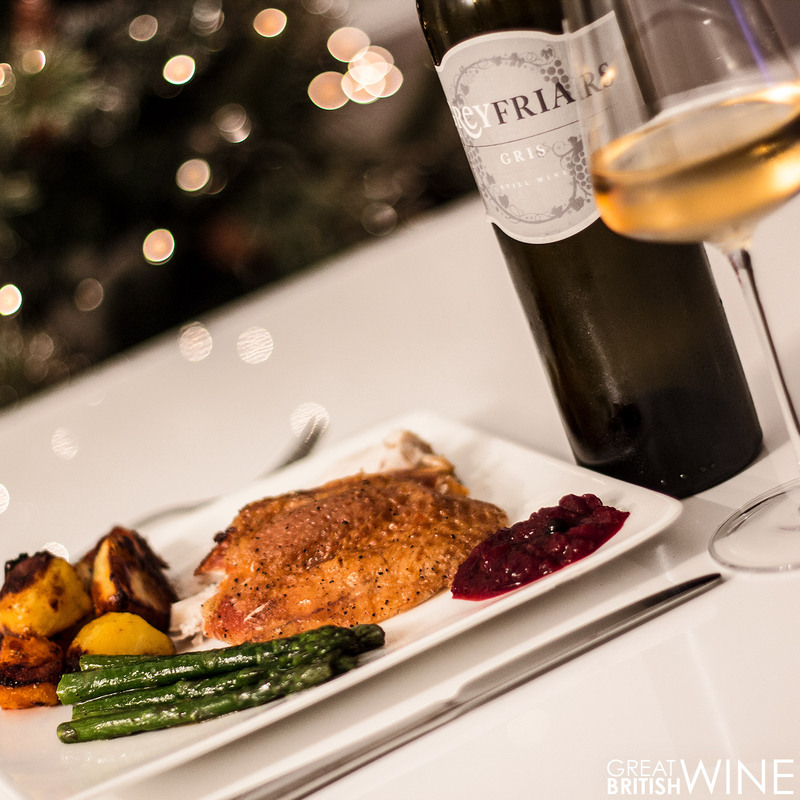 This is a real trend breaking pairing, casting aside the classic French Chardonnay and Turkey pairing in favour of a Pinot Gris from Surrey! Don’t panic, it’s delightful, as the Pinot Gris 2015 is the best still wine that Greyfriars have produced to date. Wonderful ripe fruit flavours of apricot and pear with a honeyed richness that lends itself perfectly to turkey with all the trimmings. This wine has a delightful silky texture, warming vanilla hues with bitter almond notes and striking citrus to help cleanse the palate. A curiously dark red coloured saignée method rosé. Really rich red berry fruit flavours, fresh citrus with distinctive Christmas spice notes. With the fruity and spiced character, this is the perfect pairing with Christmas pudding or mince pies. England's answer to Sauternes? Made from botrytis affected Ortega grapes, flavours of rich honeyed apricots and tangerine peel with a surprisingly crisp finish. As well as anything sweet and fruity, this pairs perfectly with after dinner cheese - try an English blue cheese.